Pugs seem to LOVE bananas! 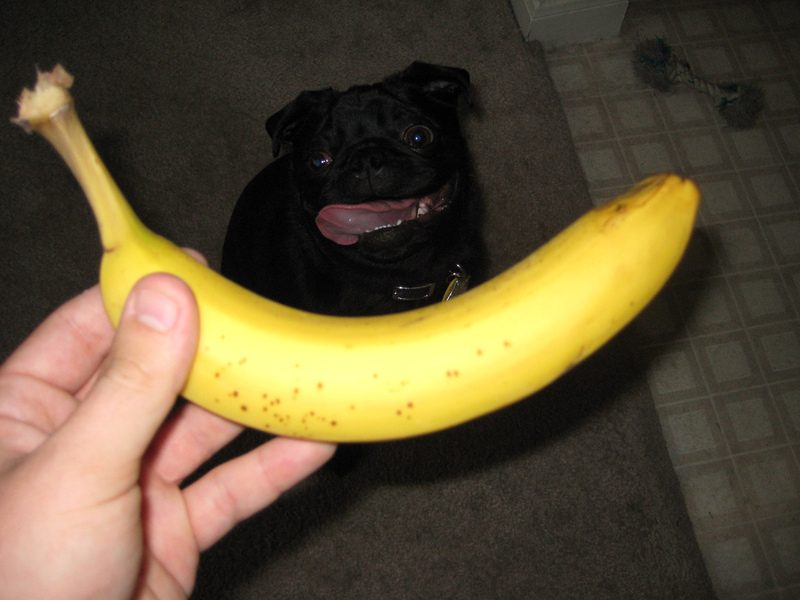 This pug is so envious of that yellow banana right now. I’d keep an eye on him if I were you! 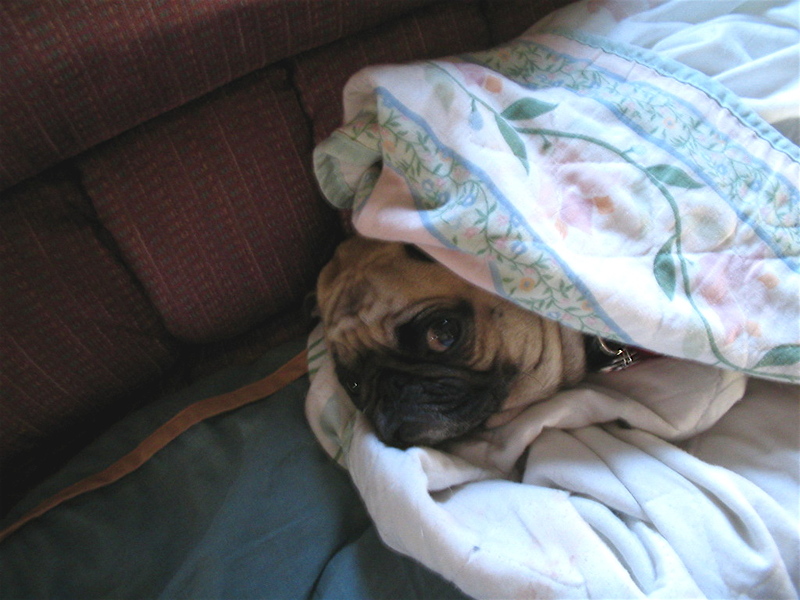 What kind of foods does your pug like? Share their favorite the comments below! Naps with cute pug friends are the best naps! 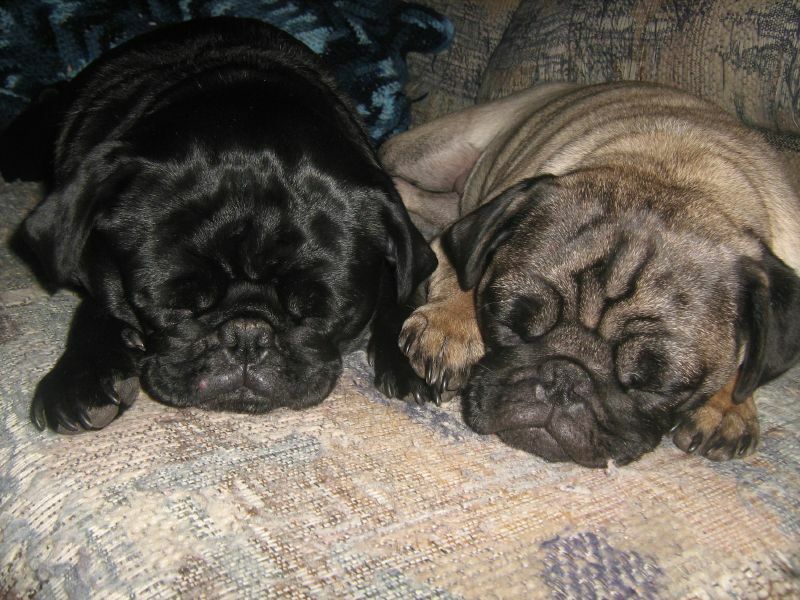 This pair of cute pugs is almost too cute to handle! She is all set and ready to snuggle! It is great snuggle weather right now. Be sure to enjoy with your pug pals! 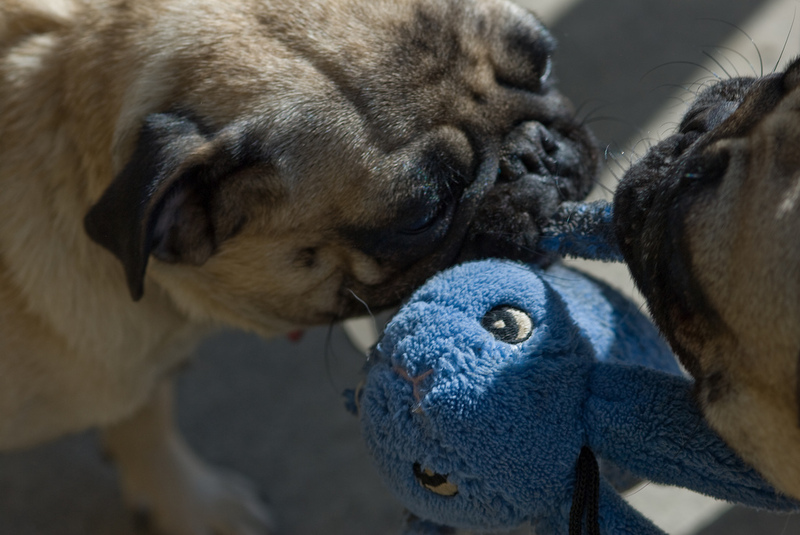 Cute pugs sharing a toy! 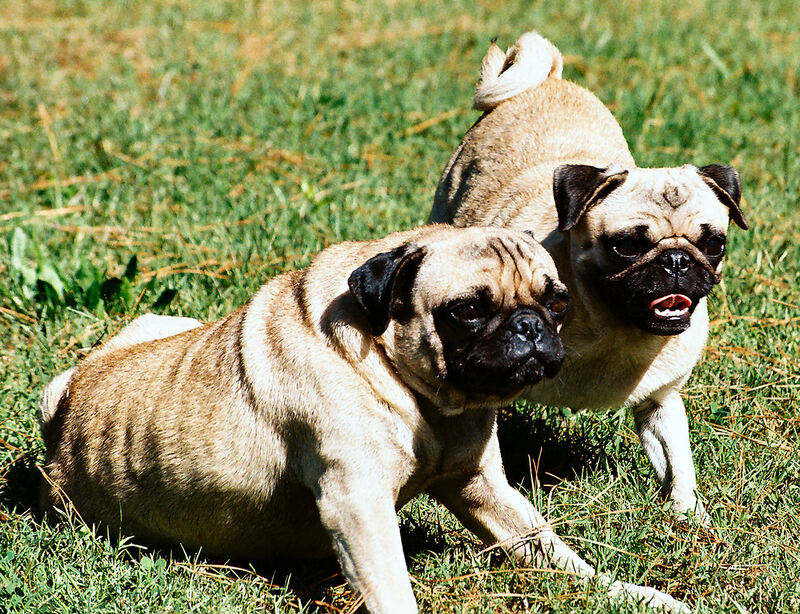 These cute pugs are sharing a friend! 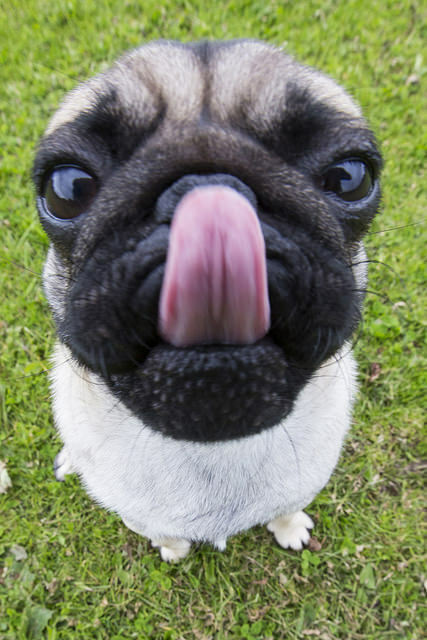 This pug just had a tasty snack! Snack time is one of a pug’s (and admittedly, one of our) favorite times. Cute pug puppies ready to play. This adorable pug duo is ready to have some fun! Cute pug puppy out for a walk. 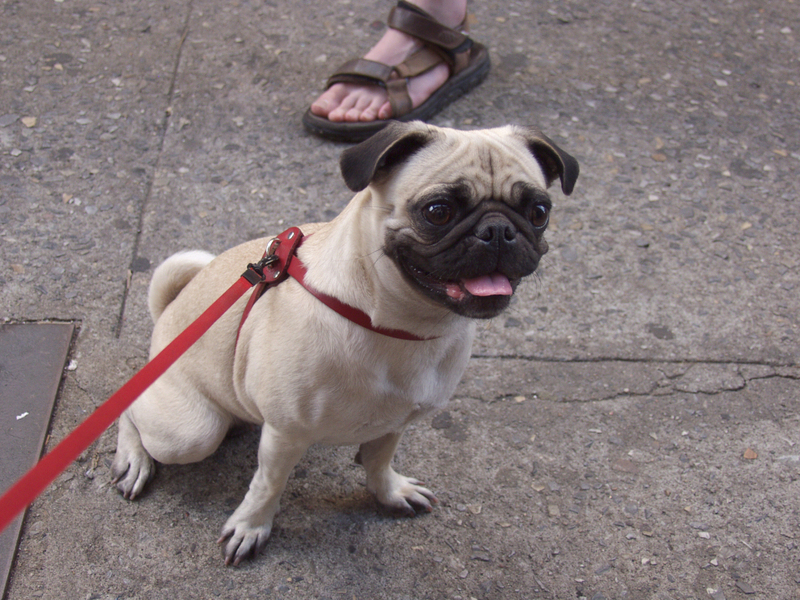 Looks like it was a good day for a walk for this cute pug puppy! A pug’s fond memories of a field of green! 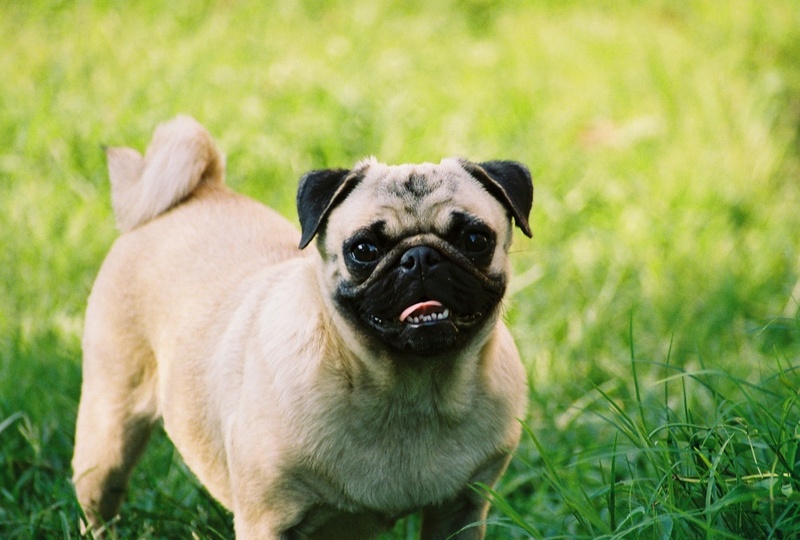 For many of us (and our cute, pug friends) winter is in full swing – here is a cute pug in a warm looking meadow to remind us that spring isn’t TOO far away (trying to stay positive here!). 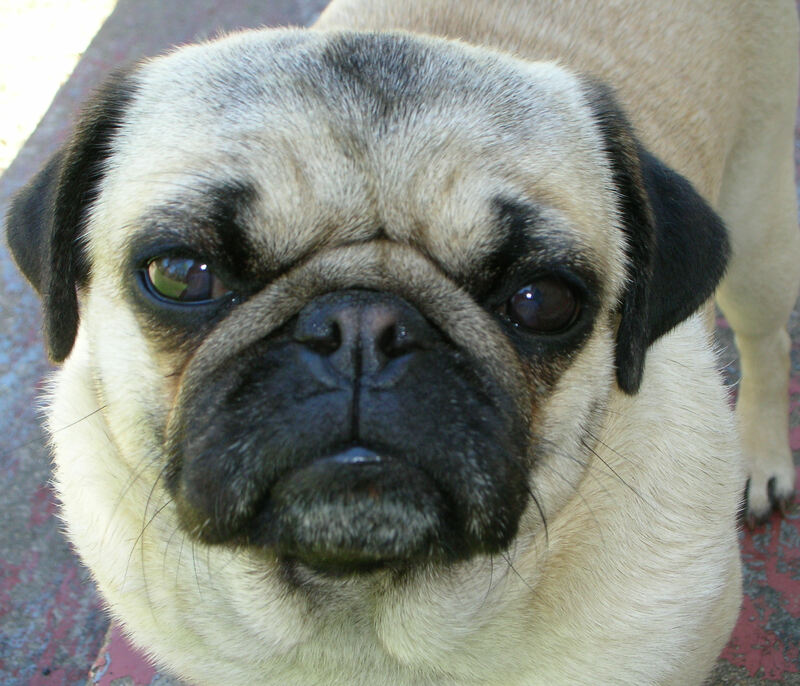 This serious pug wants to know what you’ve done with the cookies, now. If you’ve hidden the cookies, you better give them back before this pug busts out the cute puppy pug eyes. Cute pug investigating his new friend! 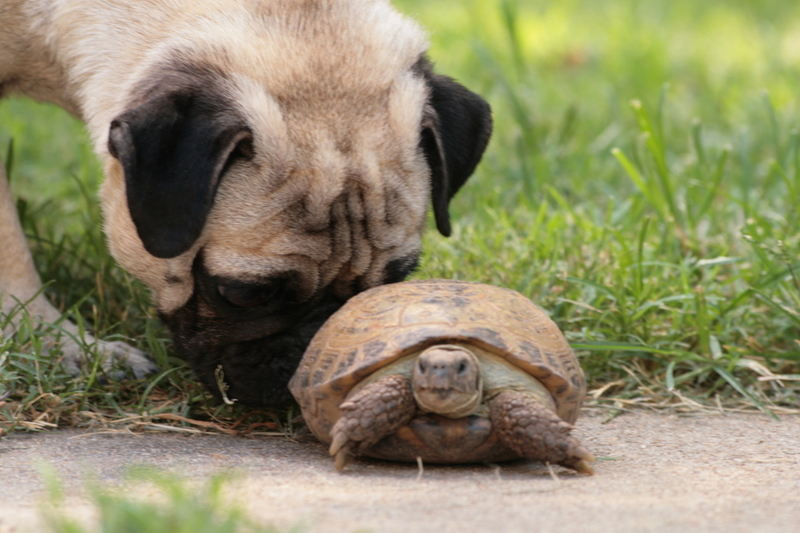 This cute pug isn’t quite sure what to make of this new guy… friend or foe? Only time will tell!